Colette, prodded by her first husband, Willy, began her writing career with Claudine at School, which catapulted the young author into instant, sensational success. 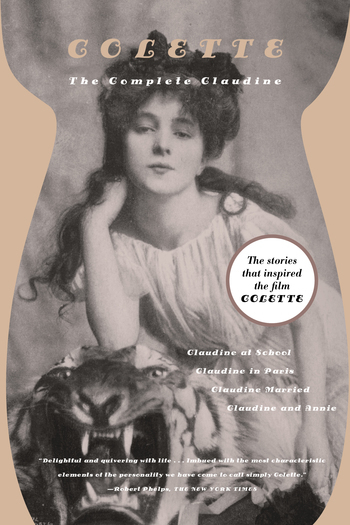 Among the most autobiographical of Colette's works, these four novels are dominated by the child-woman Claudine, whose strength, humor, and zest for living make her seem almost a symbol for the life force. Janet Flanner described these books as "amazing writing on the almost girlish search for the absolute of happiness in physical love . . . recorded by a literary brain always wide awake on the pillow." Born in 1873 in France, Colette was the author of many acclaimed novels noted for their intimate style. Other Colette titles from FSG include Gigi, Julie de Carneilhan, and Chance Acquaintances, The Vagabond, Chéri and The Last of Chéri, and The Complete Stories of Colette. She died in 1954.